There’s an elderly woman who brings her rescued Bulldog to the dog park every morning. The other dog parents love her. She’s sweet and frail and doles out treats to any canine who approaches. I’ve christened her the Treat Lady. The problem is that my dog, who needs a lot of exercise, now hovers expectantly around the Treat Lady instead of running around. I’ve asked the Treat Lady repeatedly to stop giving cookies to my well-fed dog, but she still slips him treats when she thinks I’m not looking. The other park-goers look at me as if I’m attacking the lady’s character when I ask her to stop, but really I just don’t want her feeding my dog. This is the only off-leash park in my area. Help. No one wants to be seen as insulting kindly old Grandma Milk Bones. Her heart is in the right place, but, like many grandmothers, she’s just a bit too generous with the tasty, fattening treats. There are a million reasons, M.I.F.F.E.D., why it’s not okay for strangers to give candy to babies, whether human or animal. But clearly, this woman missed the lesson. By now, you’ve probably tried politely asking her to stop. You may have even escalated to a more stern request. So, since you’ve already tried asking nicely and not-so-nicely, your best bet may be to hit her with a good, old-fashioned lie. Tell her you know she means well and you appreciate the affection she has for your dog, but Sir Poops-A-Lot was just diagnosed with severe allergies. Any non-approved treat could result in severe stomach upset and an emergency trip to the vet. You could even add that the last well-intentioned treat giver ended up with a nice little pile on his shoe! You could tell her your dog has diabetes or heart disease. Who knows? 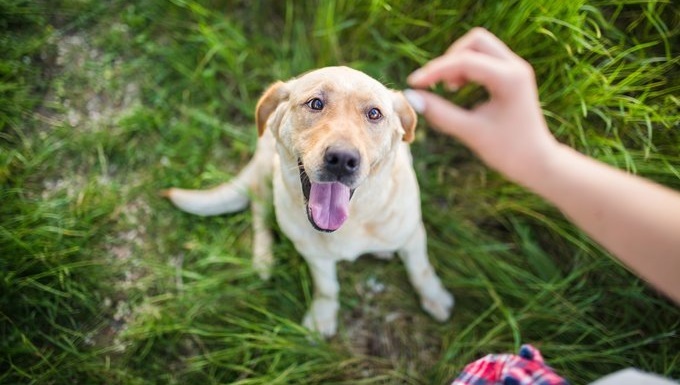 If she keeps feeding your pup and distracting him from his exercise, that might be the truth before you know it. 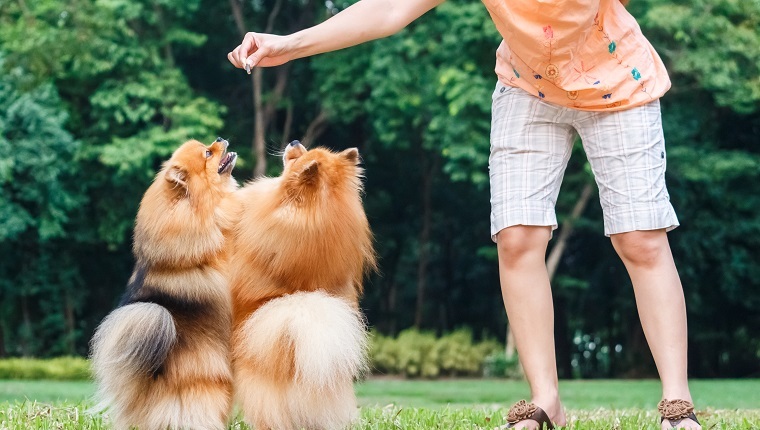 If the fib doesn’t work, it may be time to start looking for other ways to exercise your dog or time your park visits for when Treat Lady isn’t around. Or, you can hand Treat Lady a few healthy snacks, like carrots or blueberries, to give to your dog and satisfy her need to feed. If all else fails, stand directly next to her the whole time you’re at the park. Keep a close eye on her. As uncomfortable as that might be, eventually it’s going to be time to stop being nice and start being real. Oh, and unless you’re planning to run for mayor, don’t give another thought to the dog park’s Greek chorus. Your dog’s health is your first responsibility, not a popularity contest with the local dog moms and dads. Have you ever dealt with a treat-dispensing stranger? What did you do? Let us know in the comments below and leave your questions for Labby!